I'm Heather Young, owner of the Christian unschooling website and Facebook group and pages. Our group of admins and myself have been talking about unschooling with parents for a long time now and we finally decided to put our answers into podcast form for those who prefer that format. Since I am the only one with a commute- which at least means some down time to record, albeit sans script, it is just me and you, the audience, to start. This episode is a remake of my first attempt (my family complained about the poor quality because I used my phone while driving.) I changed things up a bit, though still talking into my phone while driving because right now it is the only time I have to record. 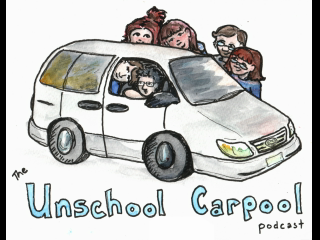 In this episode I talk a bit about our family and how we ended up becoming radical unschoolers when I started out as a teacher in the public school system.